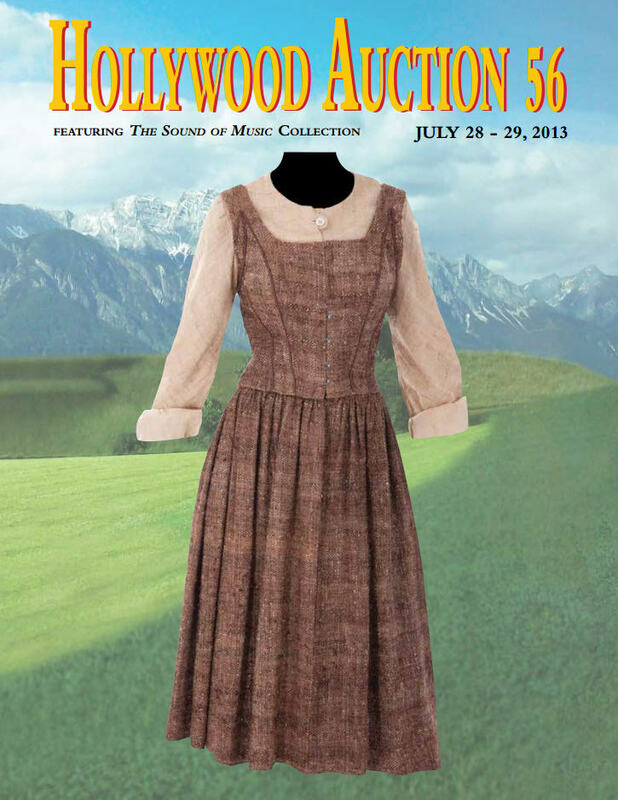 On Monday, July 29th at 11:00 am PDT, Day 2 of the Profiles In History Hollywood Auction 56 will take place at Profiles headquarters in Calabasas Hills, CA. 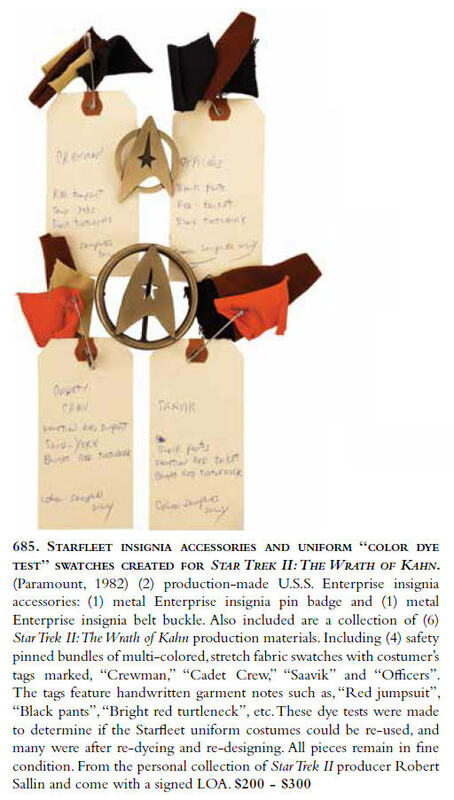 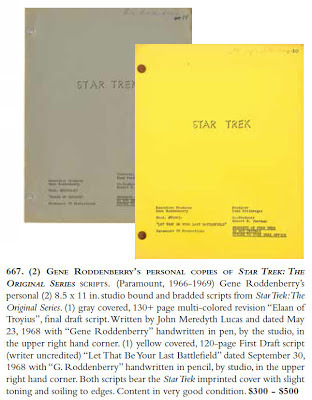 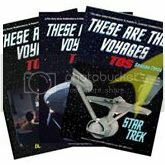 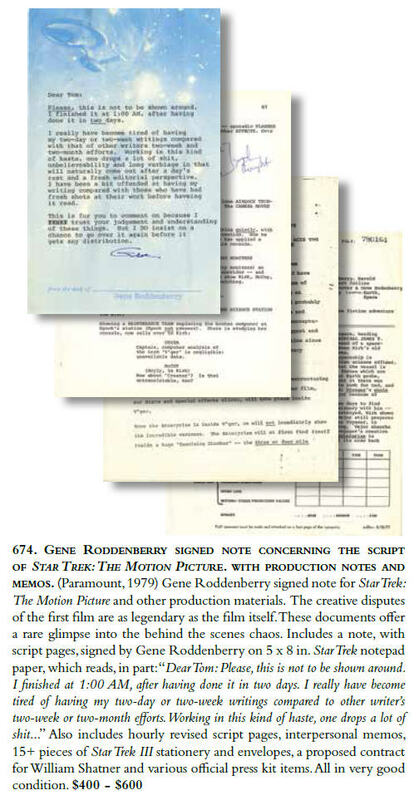 A total of 26 lots of Star Trek memorabilia will be featured in the sale; including several impressive offerings from Star Trek: The Original Series (1966-69). 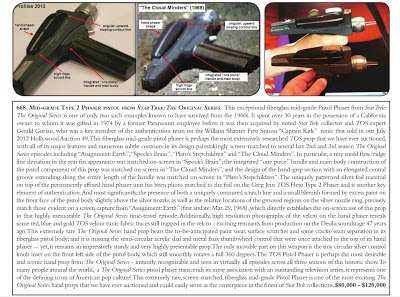 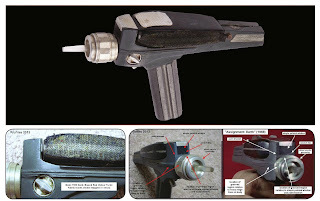 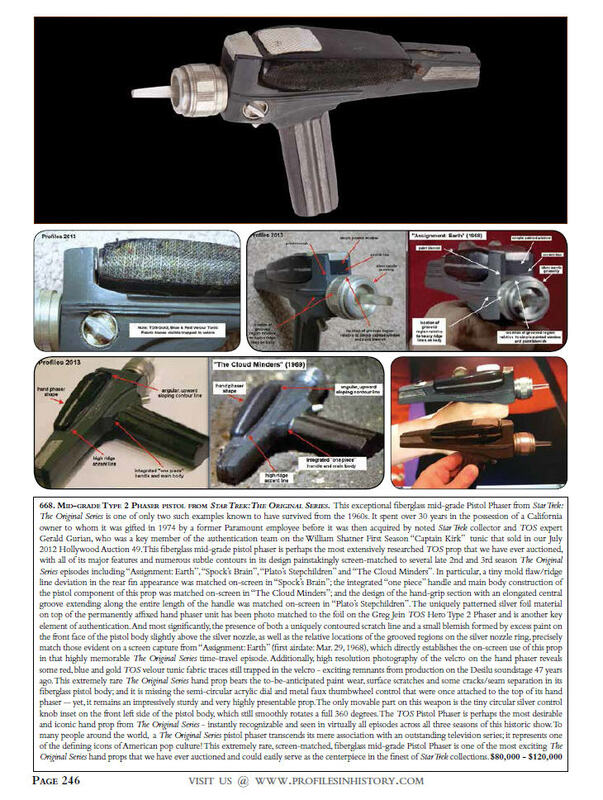 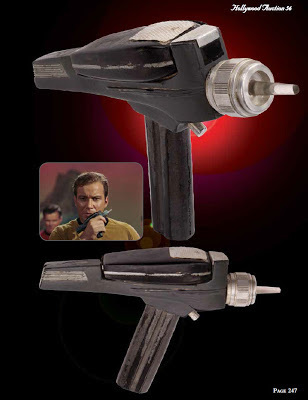 Certainly the most exciting highlight from TOS is an exceptionally rare mid-grade fiberglass Type 2 Phaser Pistol which has been screen matched to the late 2nd season episode "Assignment: Earth" (original airdate: Mar. 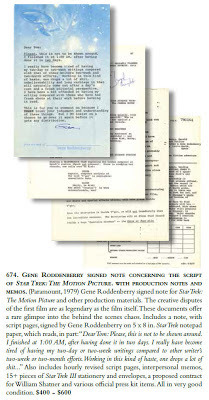 29, 1968) and which will be the focus of a separate post on this site. 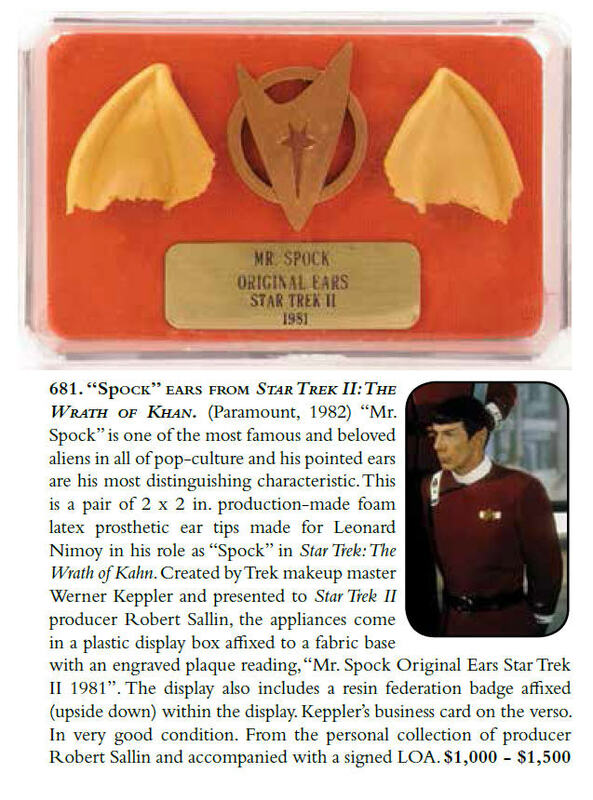 The pre-auction bid estimate for this spectacular hand prop is placed at $80,000 - $120,000. 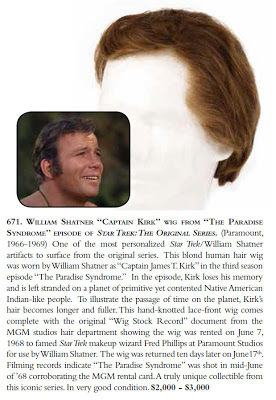 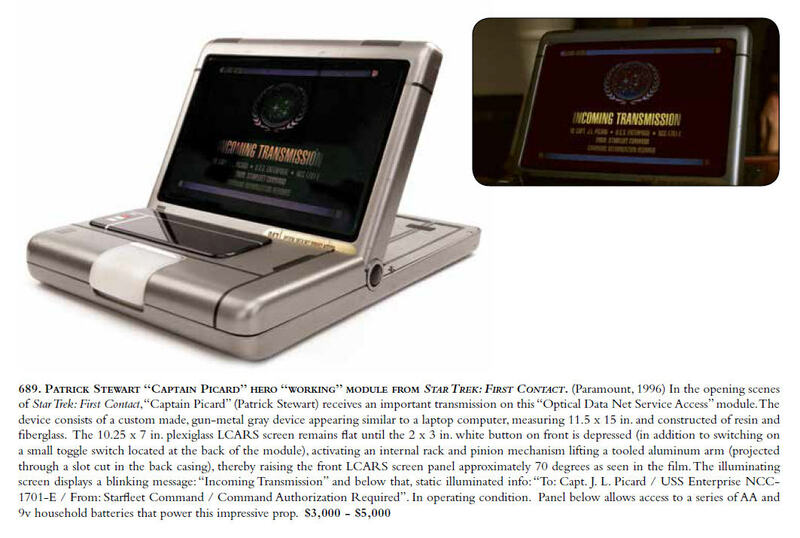 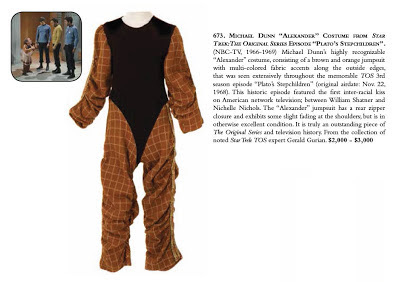 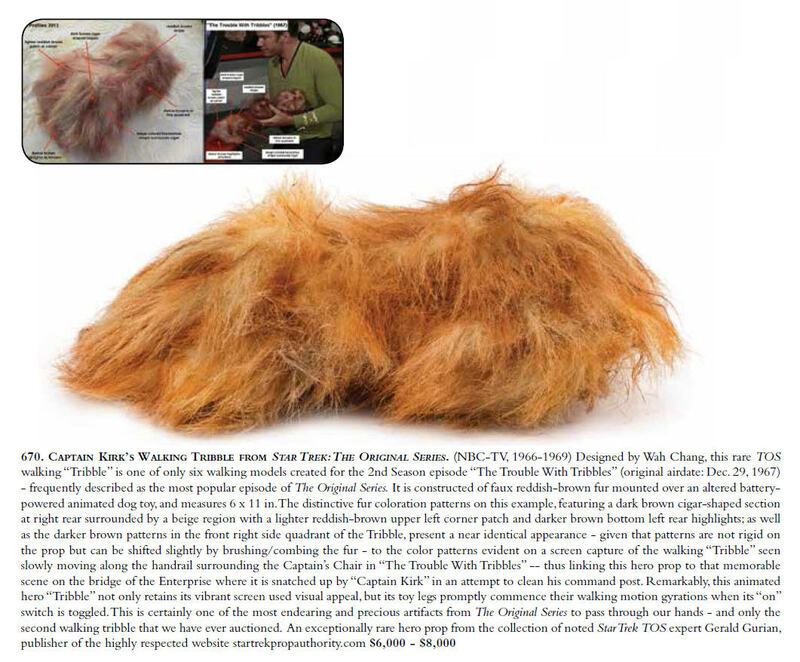 Other significant items from The Original Series to be offered in this sale include a William Shatner worn blond human hair wig from the 3rd season episode "The Paradise Syndrome", Captain Kirk's Walking Tribble from the 2nd season episode "The Trouble With Tribbles", and Michael Dunn's highly recognizable "Alexander" costume from the 3rd season episode "Plato's Stepchildren" - which featured the first inter-racial kiss on American network television; between William Shatner and Nichelle Nichols. 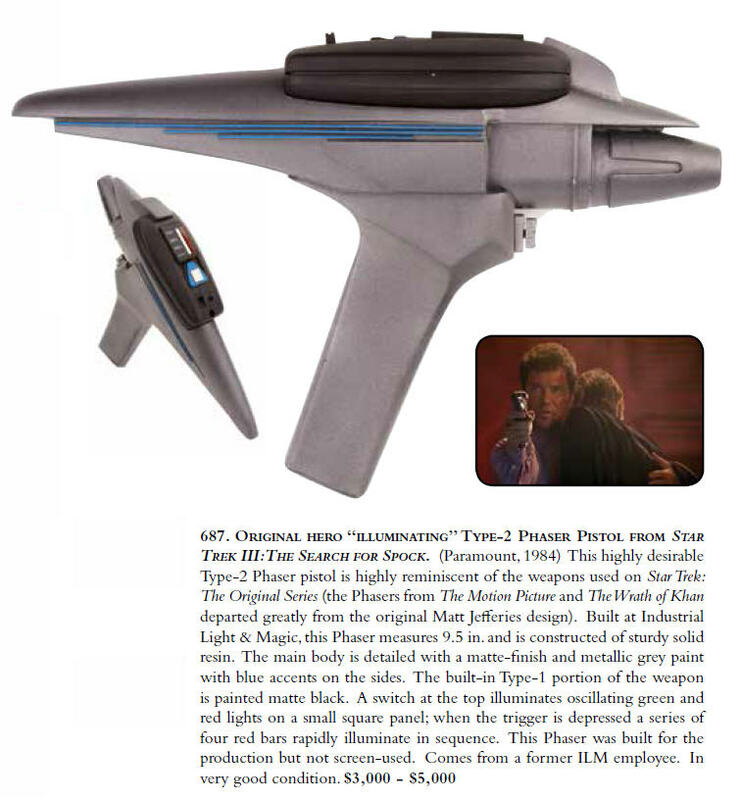 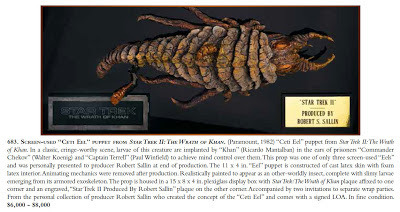 Other highly noteworthy lots of Star Trek memorabilia that are available include a set of Spock Ears from STII: The Wrath of Khan; a screen used Ceti Eel puppet - also from The Wrath of Khan that features a pre-bid estimate of $6,000 - $8,000; and a Hero Illuminating Type-2 Phaser Pistol from STIII: The Search for Spock. 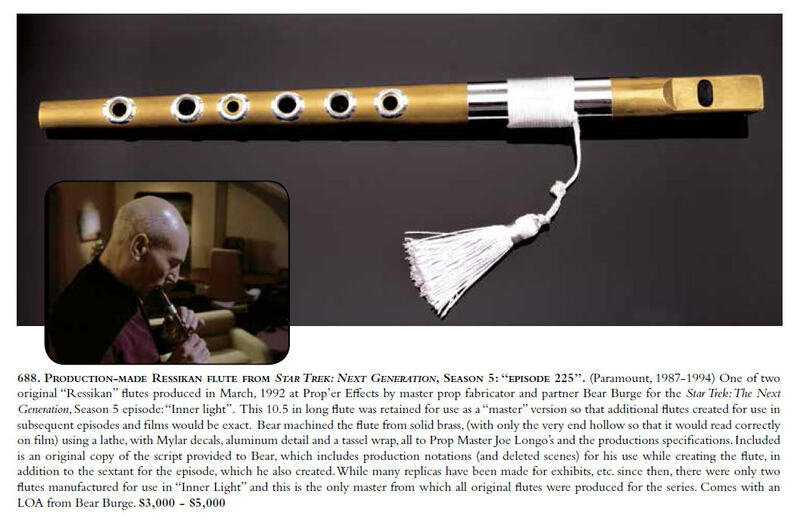 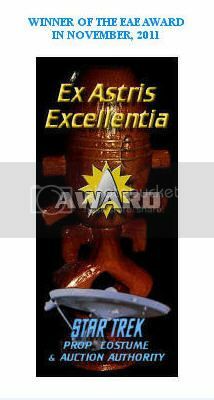 Some TNG related items of interest include a production made Ressikan Flute from the highly memorable Season 5 episode "The Inner Light", and a Captain Picard Hero Working Module / desktop computer from Star Trek: First Contact.